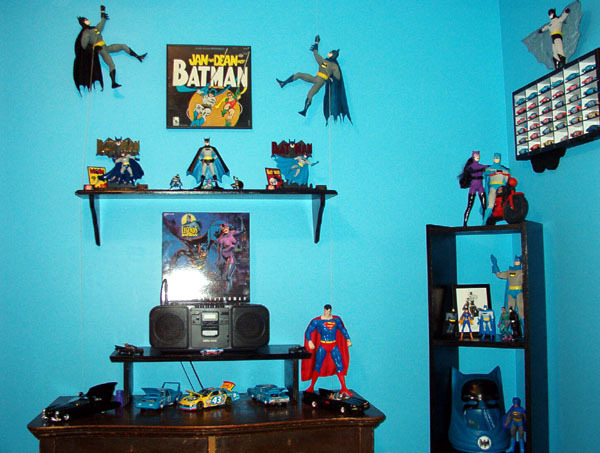 Hey, my name is Jeff “JD” Dailey and I’ve been a Batman fan since I was very little. 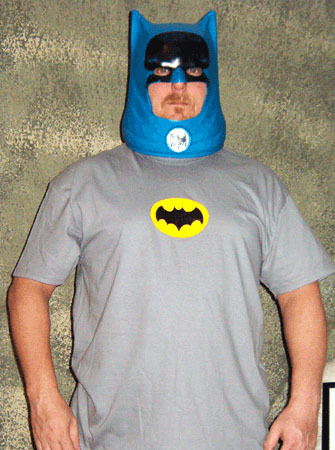 I remember when I was about 6 years old (early 70’s) my Mother found a Batman helmet at a garage sale for 25 cents (ah!! the good old days). After she gave it to me you’d think it had glue inside. I never took it off unless someone made me. Unfortunately, right before we moved some butthead stole it. I saw it in the local bully’s yard as we were driving out of the neighborhood, but they had painted it red. I was heartbroken, but I survived. Around this same age maybe a little later, the Mego figures got popular, and of course I had to have them. I had Batman and friends, but also most of the Marvel figures. I liked all of them, but the Batman is the only one that still catches my eye. 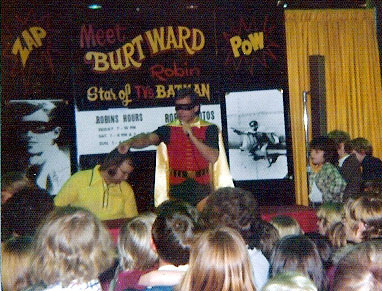 During those early years I also saw Adam West and Burt Ward at different World of Wheels shows along with one of the original Batmobile replicas (I hate BatFuzz). During my senior year of High School I would skip lunch period at school to come home and watch the reruns of the series on TV. My Mother figured I could be doing worse things, so she never gave me a hard time about it . As a matter of fact years later when I was in the Army in Germany, she would record episodes when she could and send them to me. Some of my buddies and I would sit around the barracks and watch the tapes and have a great ol’ time. As usual my life went on and priorities changed, I even got married somewhere along the line (hey, I held out till after I turned 30). A few years ago, I was collecting Richard Petty stuff and die cast race cars, but I just got tired of having all this Petty stuff on the shelf when the team hadn’t had a win (or even a decent season) in years. 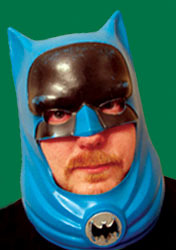 I started poking around on the net and found Eric’s Batmobile site (www.1966batmobile.com) and I was hooked again. As usual I went hog wild and started finding cool old toys to replace the ones I’d lost over the years and even found a reasonably priced helmet to replace the one lost all those years ago. If you want to see some of my collection, plus some of the other things I’ve found over the years, check out my website at www.batmanstuff.com. Since I’ve gotten back into Batman I’ve made some great friends on the net and locally. It seems that most fans of Batman, especially the TV series seem to share a lot of the qualities of the Caped Crusader and are really great people. That’s it from me for now. Later…..